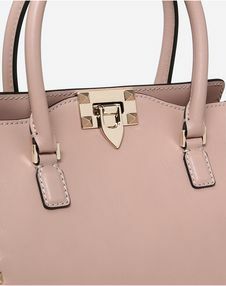 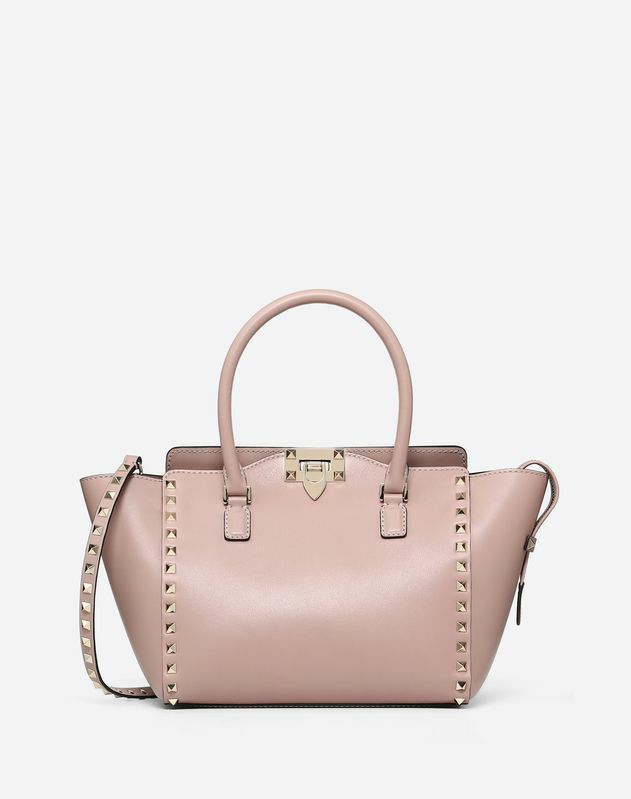 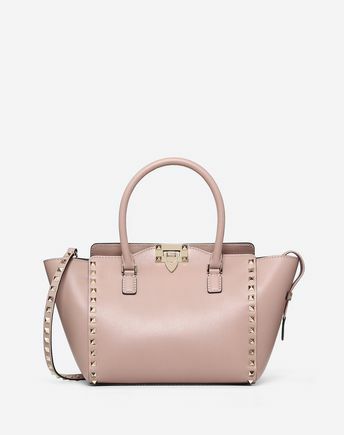 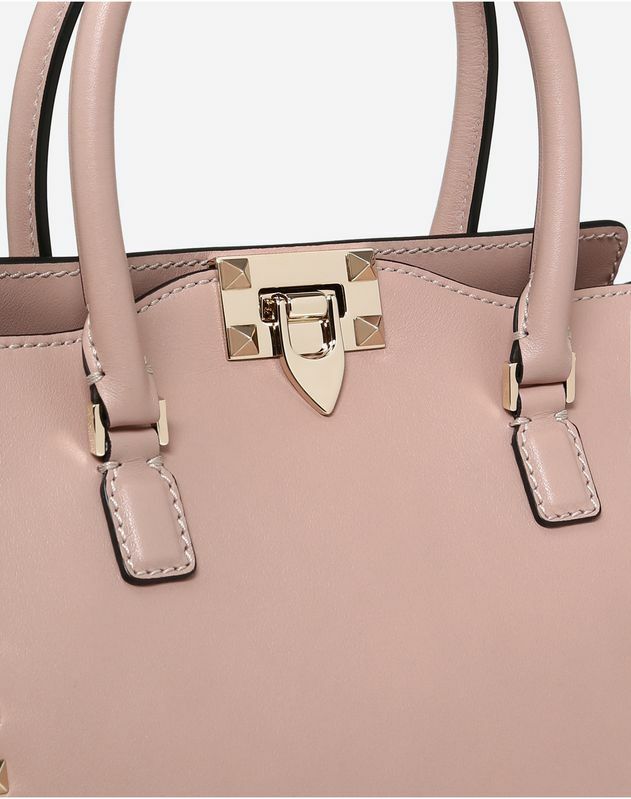 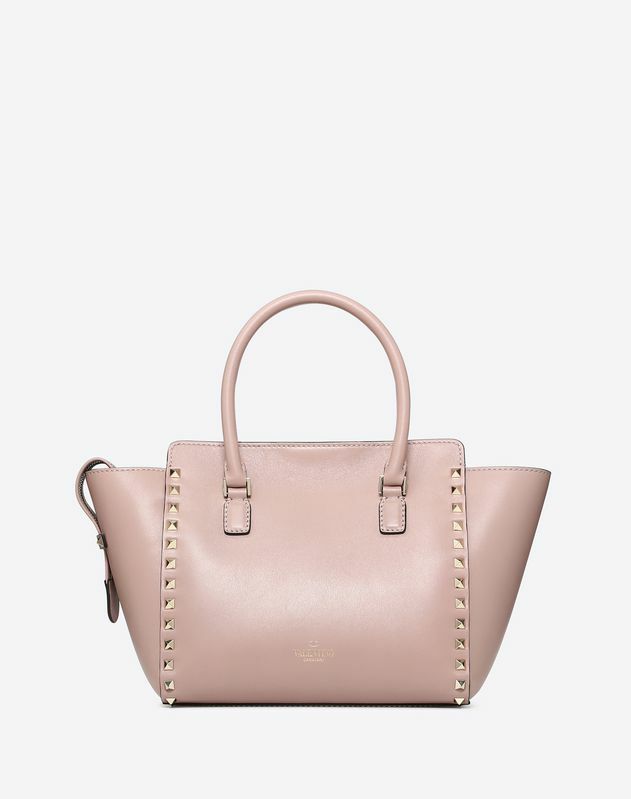 Valentino Garavani Rockstud small double handle bag in calfskin. 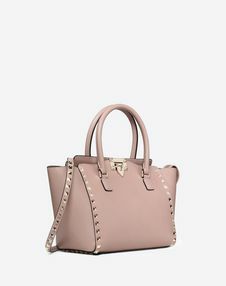 - Cotton lining; interior features zipper pocket and double open pocket. 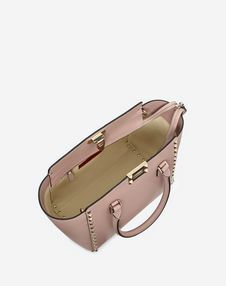 - Dimensions: W23 x H20 x D14 cm / W9 x H7.8 x D5.5 in.